Episodes of grand mal seizures or whatever type of seizure disorder can produce life-threatening events. 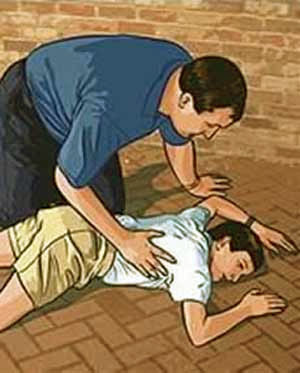 In grand mal seizures, there will be loss of consciousness that can cause a person to fall to the ground and possibly bang his or her head to the floor. Before a patient losses his or her consciousness, there will usually be an aura (sign for an impending seizure episode) felt. However, not all people can prepare for a seizure episode and in fact, when you can witness a person having a seizure episode and is already on the floor, bystanders or ordinary citizens can do something to ensure safety of the patient. Always keep calm. Never panic. Once you panic, you will not be able to think straight and you will not be able to help the patient who is having a seizure attack. Keep the patient away from harm and injury. You will have to make sure that the environment is safe from any harmful objects that can cause an injury to the patient. And also, always make sure that the patient’s head is safe. If possible, take note of the length of the seizure episode. Even though the patient is unconscious, you will have to make sure that he or she is as comfortable as possible. Do not let onlookers crowd around the patient. If possible, keep onlookers away from the patient. Never restrain or hold the patient down. Restraining the patient during a seizure episode will just put him or her at risks for injuries. Never put anything to the patient’s mouth, even tongue depressor. Do not let the patient drink or eat anything if the patient is still not fully alert. As mentioned earlier, time the length of the seizure episode. If the seizure episode lasts for more than 5 minutes, you will have to call for immediate medical help. You will have to be supportive and sensitive to the patient’s feelings. The patient will never remember anything about his or her seizure episode.